Listen to the alien sounds captured by NASA’s Juno spacecraft. 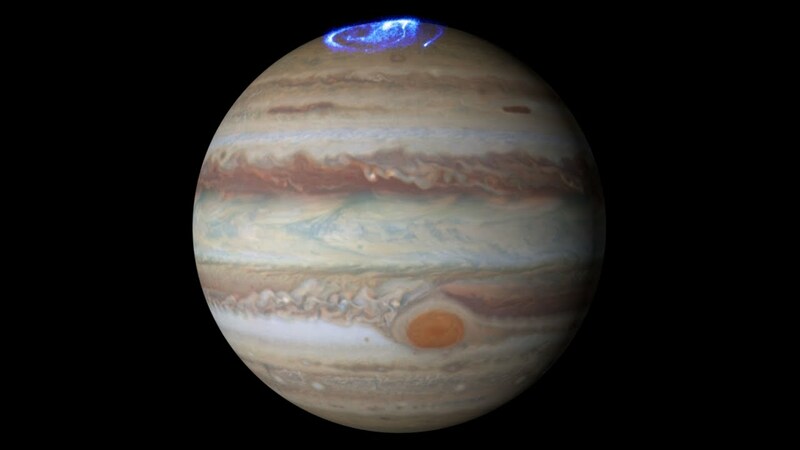 Thirteen hours of radio discharges from Jupiter's extreme auroras are presented in the video below, both visually and in sound. According to NASA’s JPL, the data was captured when the spacecraft completed its first orbital pass of the Jupiter on Aug 27, 2016. During this orbital pass all spacecraft instruments were turned on. The frequency range of these signals is from 7 to 140 kilohertz. These are called "kilometric emissions" by radio astronomers because their wavelengths are nearly a kilometer long.